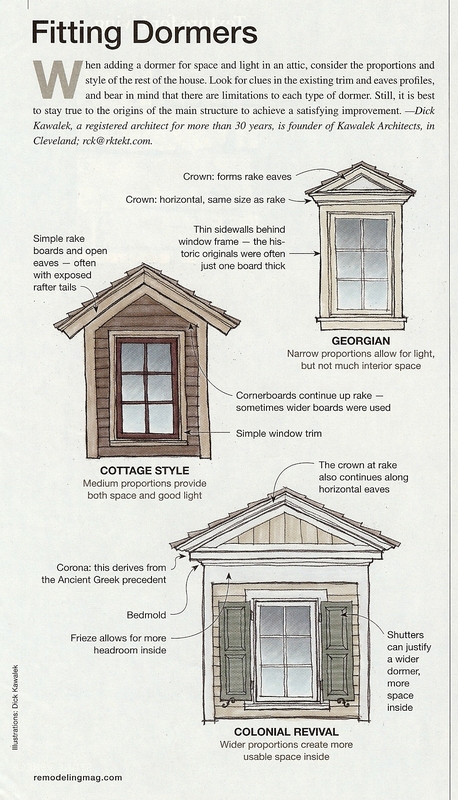 Ever wondered what kind of dormers you have on your house? Or are you thinking of adding dormers to your house and not sure how? 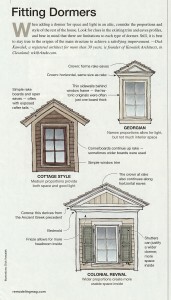 Remodeling Magazine had a quick one page article on adding fitting dormers to an existing house that could help. A search for “dormers” on their site produce a whole host of useful articles on the subject. Dormers serve many functions: They can be purely aesthetic to the exterior elevation, adding curb appeal to the structure. They can allow light into the interior space. They can add ventilation. They can add headroom and usable floor space in cramped attics. Deciding on what you want your dormer to do is the first step. Money isn’t the most important thing in life, but it is reasonably close to oxygen on the “gotta have it” scale. Here’s hoping everyone in the Easterday Construction Co., Inc. family, those we have met, those that we have affected and those that have affected us, have a Happy, Healthy and Prosperous New Year! Let your hair down and Bang Your Head! It’s a new year with all its promise of better things to come.